Nothing defines America more than the leaders that the people elect. Every President who takes Office brings with them a new agenda, a new course, a new chapter to form within American history. There have been 44 different leaders since America formed its independence and although all of them have done something within their administration to change and form American ideals, there are two Presidents who stand out as leaders who really shaped present day America and the values that they hold. Two such Presidents are George Washington and Abraham Lincoln. Although they were Presidents decades apart, they both lead America through very tumultuous times. George Washington was sworn in as the 1st President in 1787 and quickly helped to revise the Articles of Federation into America’s Constitution. 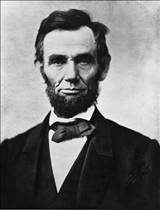 Abraham Lincoln was 16th President sworn in in 1861. Leading as his predecessors, he also believed in the importance of focusing on domestic affairs in lieu of complicating America by getting involved in foreign conflict. At George Washington’s inception, America was just finding their way as a new nation and he was extremely focused on creating an America that was not dependent on other nations. He believed strongly in America being able to stand alone without the help of Britain and France and strived to develop national pride and self-reliance. He believed in maintaining neutrality in foreign affairs and created a nation that he believed should concentrate on domestic agendas solely, not foreign conflicts. George Washington and the leaders that preceded him had done an extremely well job of melding the vast nation as a complete country, but when Lincoln took office, a Civil War was in full fledge, and he worked feverishly in maintaining the coherence of America as a whole. He fought against the dissemination of the cohesion that America was able to achieve. Nothing shaped America more than the creation of the Articles of Federation, soon evolving into the Constitution and the beginning of our democracy. 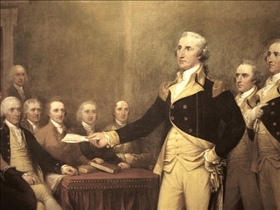 George Washington was the first President of the United States. Abraham Lincoln had some major accomplishments during his Administration, responsible for the emancipation proclamation and the abolition of slavery. Like George Washington, he inherited a nation that was at a cross roads, trying to define who it was as a nation. Being sworn in during such tumultuous times, Lincoln’s responsibility as a commander as well as a leader was enormous while he was trying to mend a country that had pitted brother against brother and was struggling with one of the greatest moral dilemmas our country had ever faced. Abraham Lincoln and George Washington were both sworn into the Office of the United States President with a heavy load to overcome. Washington lead America into shaping what it is today. Many of the agenda’s, beliefs and morals that America holds dear stems from his Administration. In turn, Lincoln took office during a time when America was in turmoil trying to figure out who they were as a nation. He took a country which was falling apart and put it back together. Without the leading of these two extraordinary men, America would have a much different face among the world. Which former US President was more honest? your hero mr Lincoln took office with only 40% of the votes. He wasn't even on the ballets in ten southern states. he took power away from the states and from the people. he locked folks up without a trial. While i do look at abolishing slavery as a good thing, and we have had several presidents through out time that did a good thing or two, most where as crooked as the day is light. Washington and some of the folks that drafted the constitution where good folk but politicians in the years that have followed have taken away much of what the original constitution had given us.